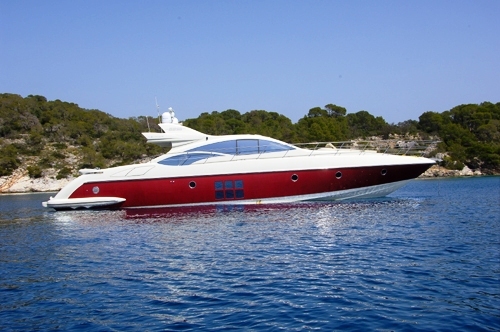 Luxury motor yacht DUKE is a 21.17m (69' 5") Azimut 685 built in 2007. 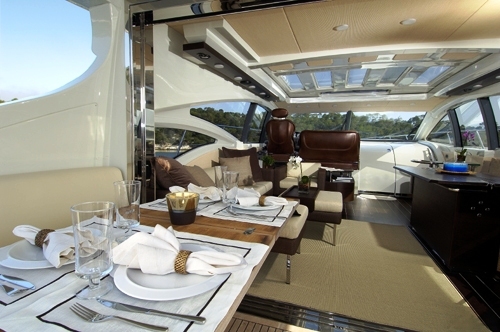 The modern motor yacht DUKE can accommodate up to 6 guests in luxury and comfort. 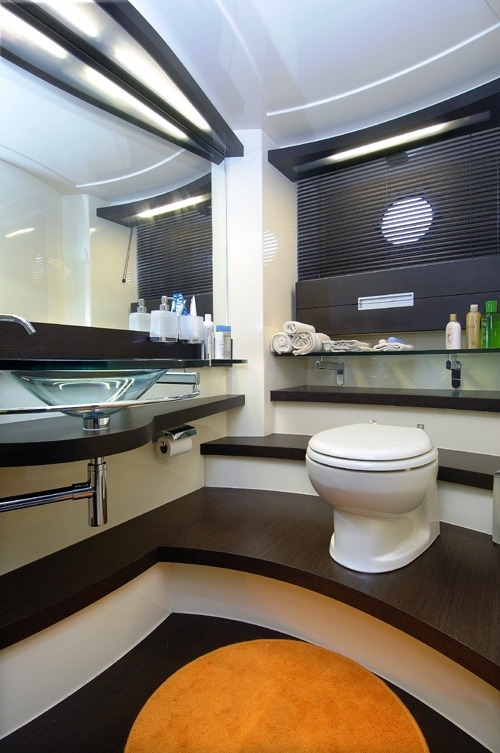 Her accommodation comprises of a master cabin, a VIP cabin and a twin cabin, all with en suite facilities. 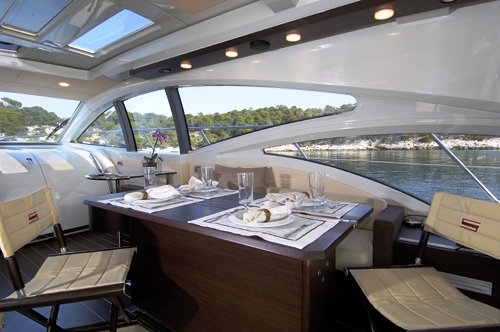 The Azimut charter yacht DUKE is elegantly appointed with fine earthy colors. Her sunny windows on the main deck allow for a direct, uninterrupted view of the beautiful turquoise waters of the Eastern Mediterranean and the spacious salon provides a comfortable place for all to relax and socialize. 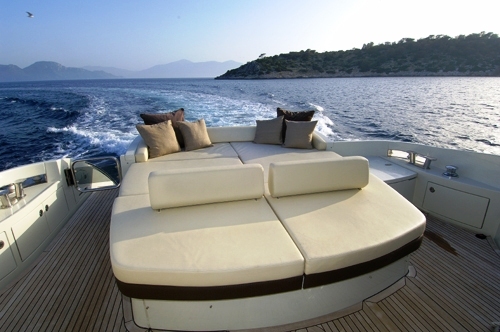 Motor yacht DUKE also features an aft deck which is the perfect area for enjoying beautiful sunset dinners or a morning breakfast and is a great place to relax or sunbathe on the large sun pads. There is an additional large sunbathing area forward. All of the cabins, as well as the salon, have LCD TVs and DVD players for entertainment. Wi-Fi internet and a game console for children aboard provide added enjoyment. 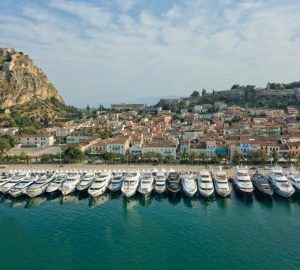 Motor yacht DUKE has an abundance of warer sport toys, including scuba gear and an underwater video recording camera; guests can have the ultimate charter experience in Greek waters onboard the Azimut 685 DUKE. 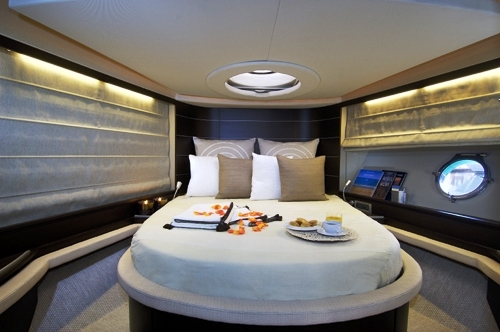 Motor yacht DUKE can accommodate 6 guests in 3 luxurious cabins on the lower deck. 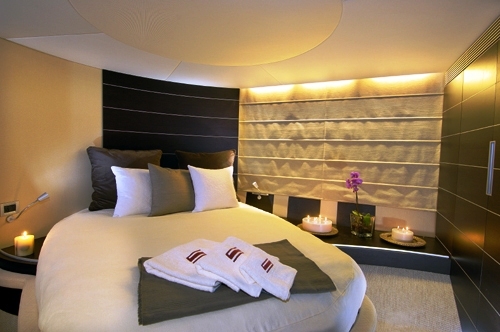 The Master Cabin features a queen sized bed and ensuite bathroom with separate shower area, the VIP Cabin also has a queen sized bed and ensuite bathroom, while the remaining guest cabin features twin beds and ensuite facilities. 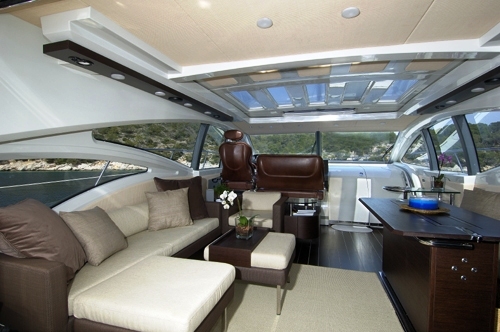 Luxury charter yacht DUKE has a great range of tenders and toys shown in the photo above. 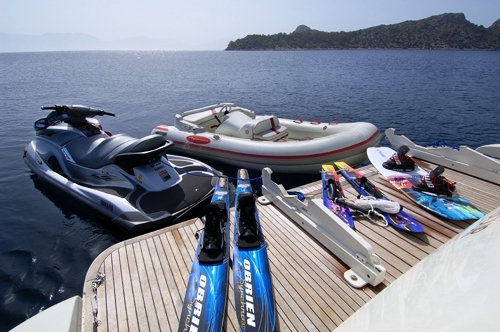 They include an Aquascan 350 Jet Tender, a Wave runner Yamaha fx cruiser 2008 model (3seater), Water skis, Tubes, a Wakeboard, Snorkelling and Fishing Equipment plus Scuba Diving for two persons. 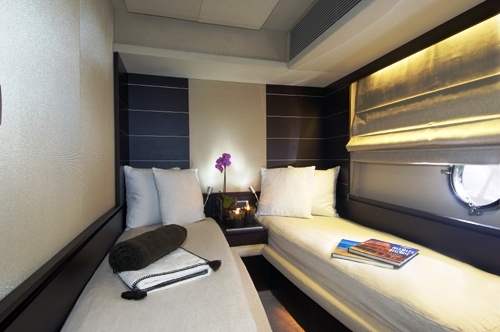 Communications onboard include Wi-Fi internet. 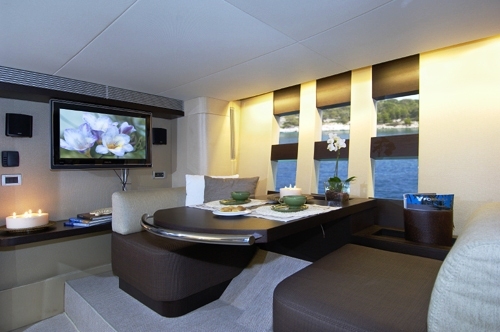 Audio Visual Equipment and Deck Facilities include an LCD TV in all Cabins and Saloon, with SAT TV. DVD Player in all Cabins and Saloon, CD Player with ipod dock, Underwater video recording camera, Digital 10 Megapixel Professional Camera, Game Console.